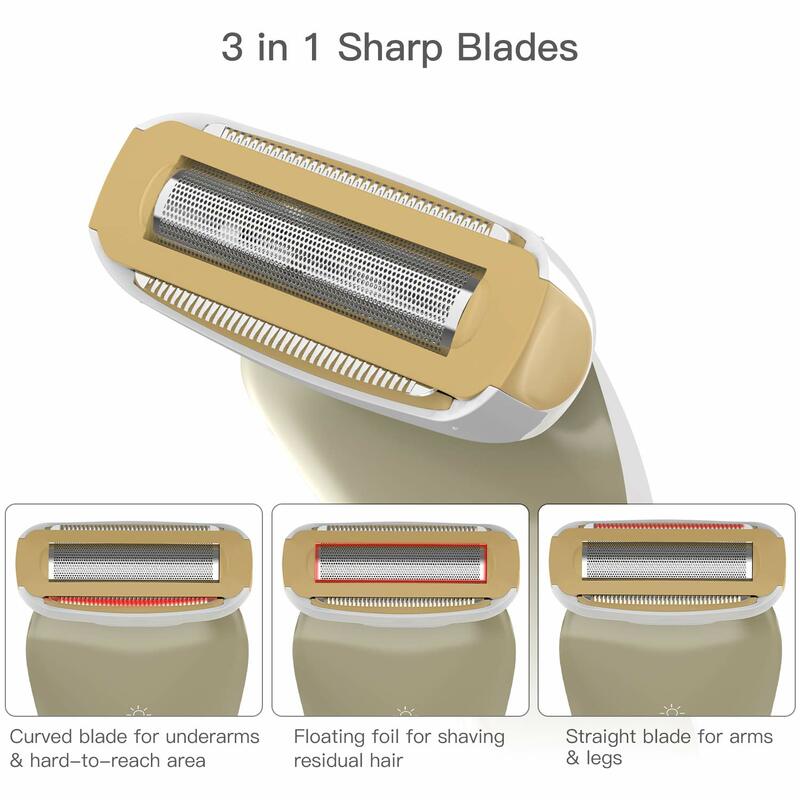 [ 3 in 1 Womens Electric Razor ]: the straight blade can easily and quickly shave and trim the hair on arms and legs, the curved blade can used to shave underarms or any hard-to-reach areas, while the floating foil can clean the residual hair. 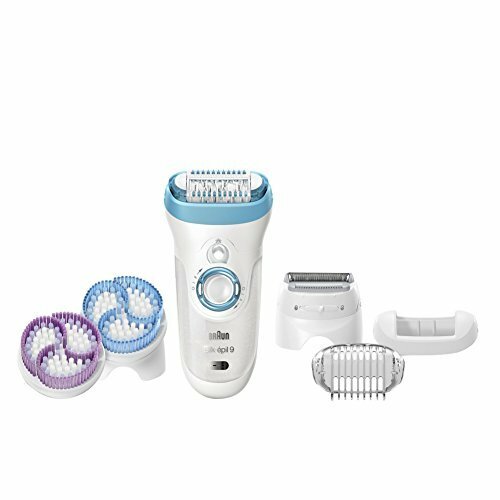 This multipurpose and economic ladies electric shaver can meet all your needs for hair shaving. 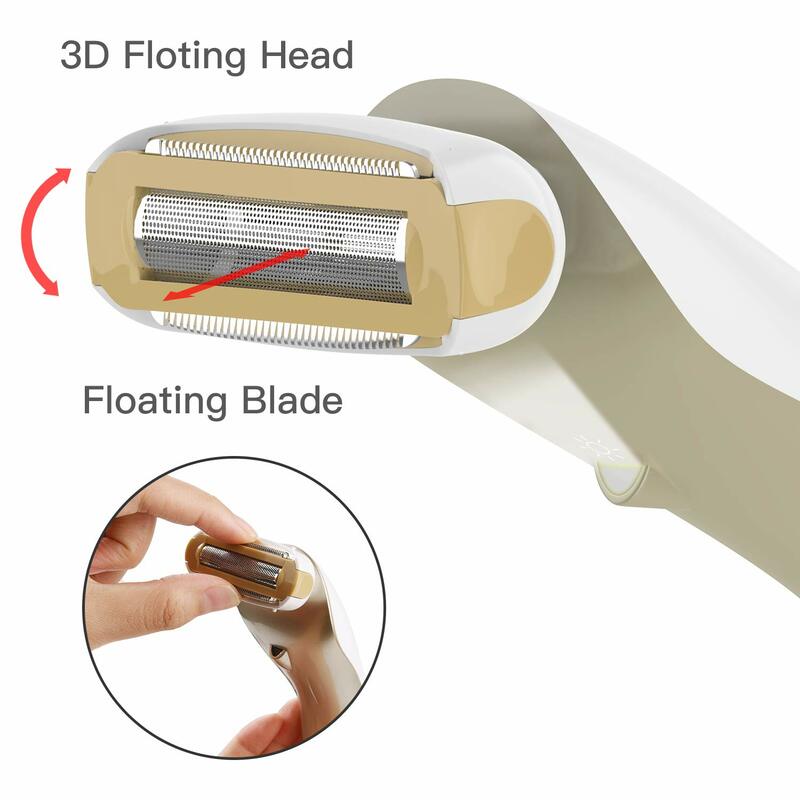 [Advanced 3D Floating Foil]: the floating foil automatically adjust to the optimal angle to trim hair based on different areas, this women electric shaver glides gently and smoothly along your body curves and contours to ensure a close but safe and comfortable hair shaving without irritation on sensitive skin. 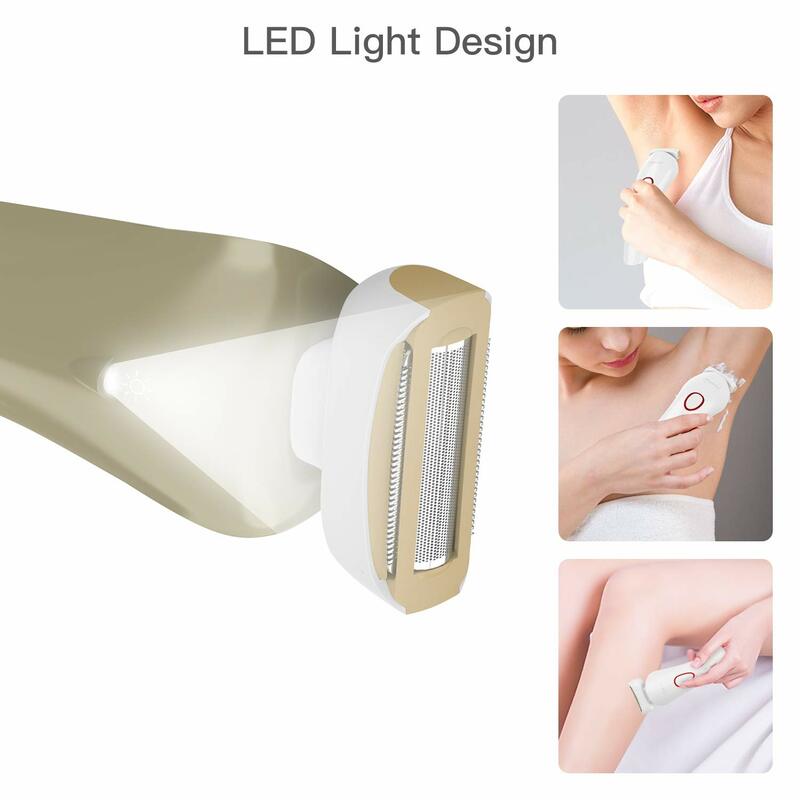 [Waterproof Use in Wet or Dry]: Sealant technology, anti-slip grip and hypoallergenic stainless steel blade makes this bikini trimmer for women can be used in shower or bath with soap lather, shaving foam or gel for luxurious shaving experience. 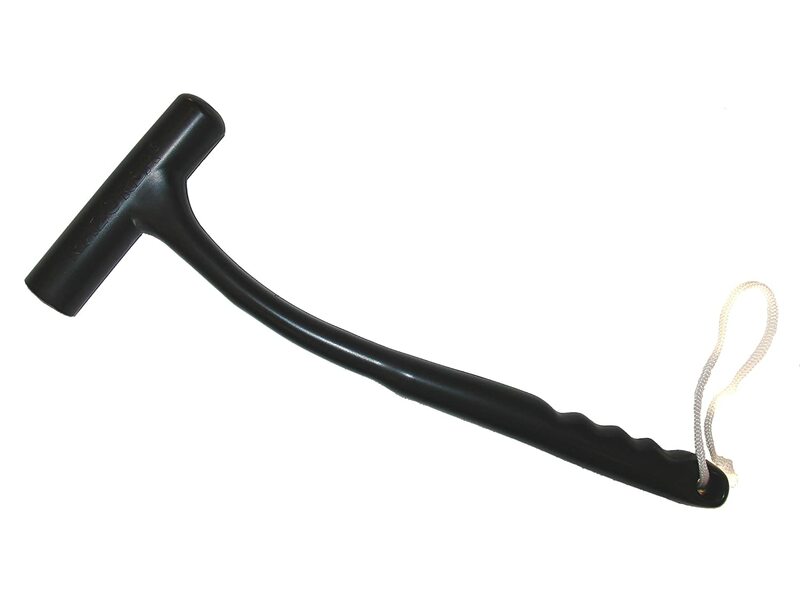 Also it can be used for a quick dry shave at any convenient time. 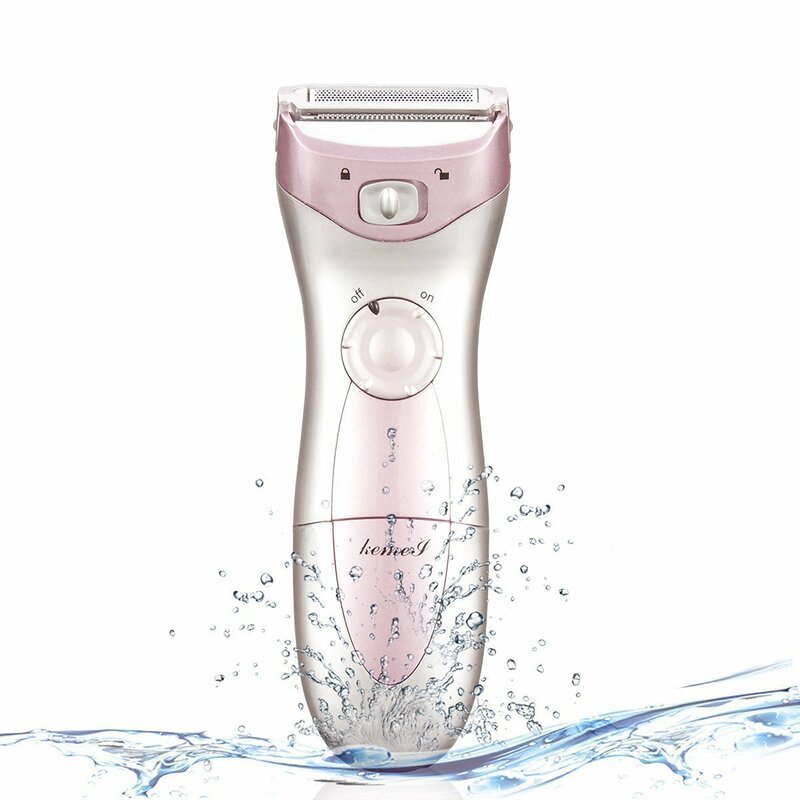 [Convenient Rechargeable]: This electric shaver for women equipped with 2 charging modes, which can be charged by charging stand or connecting the adapter to the power socket directly, and it provides around 40 minutes of cordless using after 8 hours fully charged. 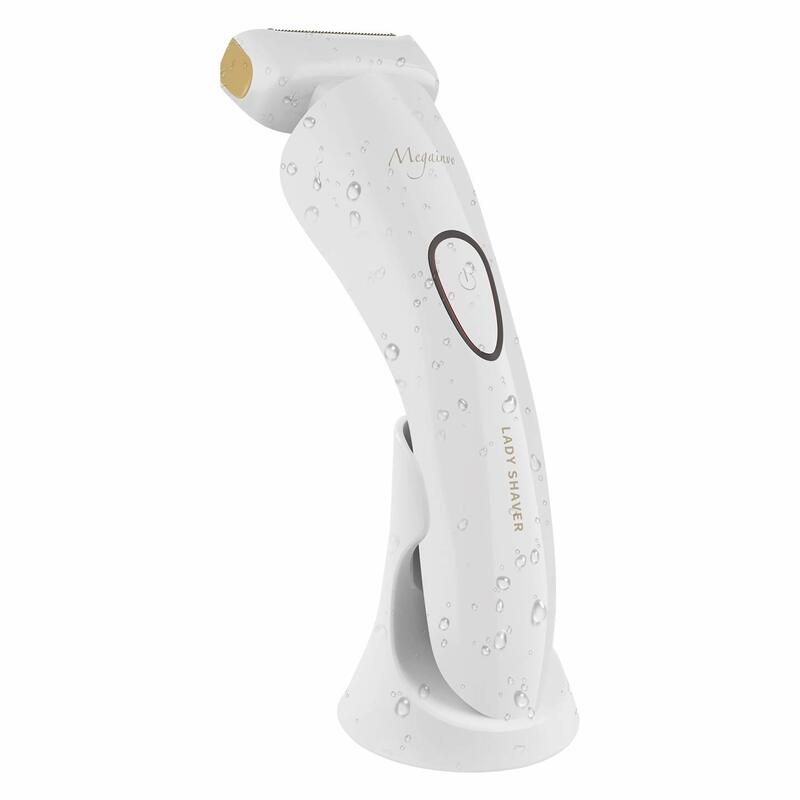 These features makes this women's electric razor become the best travel choice. 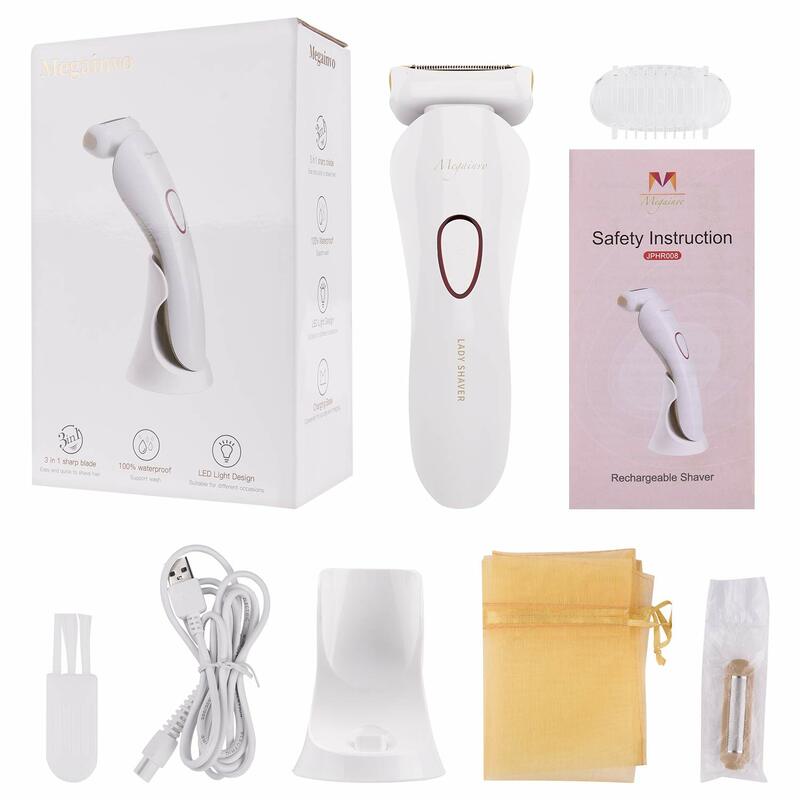 [Megainvo Guarantee]: 30 days money return policy without reason and lifetime sale service to solve problem for personal shaver for women. Just contact us directly. I like that its portable, we camp a lot where there is no running water/showers or hydro, and this shaver works well dry! It cuts pretty close to the skin to, and is gentle enough to not leave an irritated rash behind, just don't go over the same spots continually. Ive used it once since delivery and my legs are still smooth 3 days later. 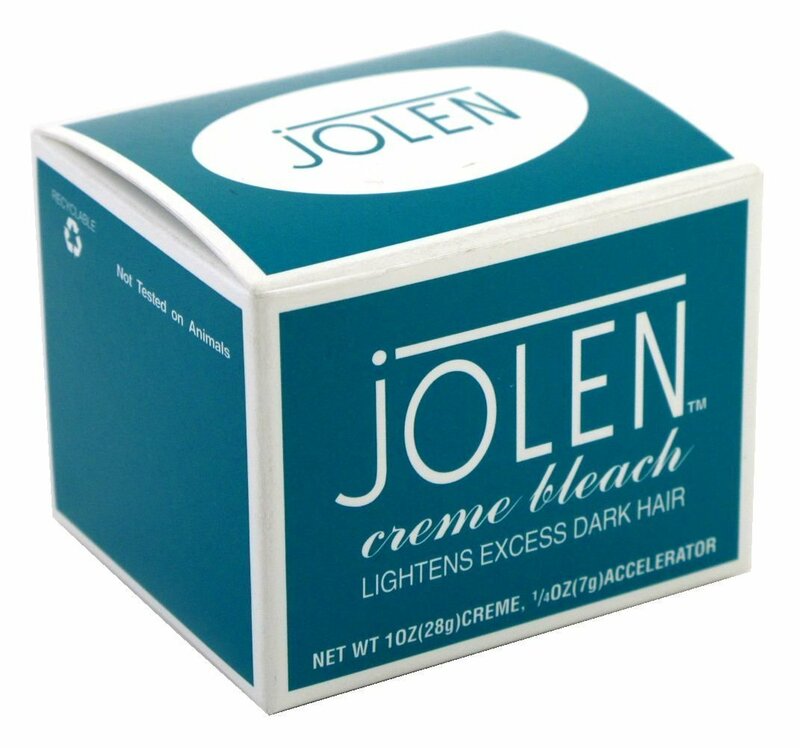 It works very well on fine arm hair as well. Came with an extra shaver head as well! 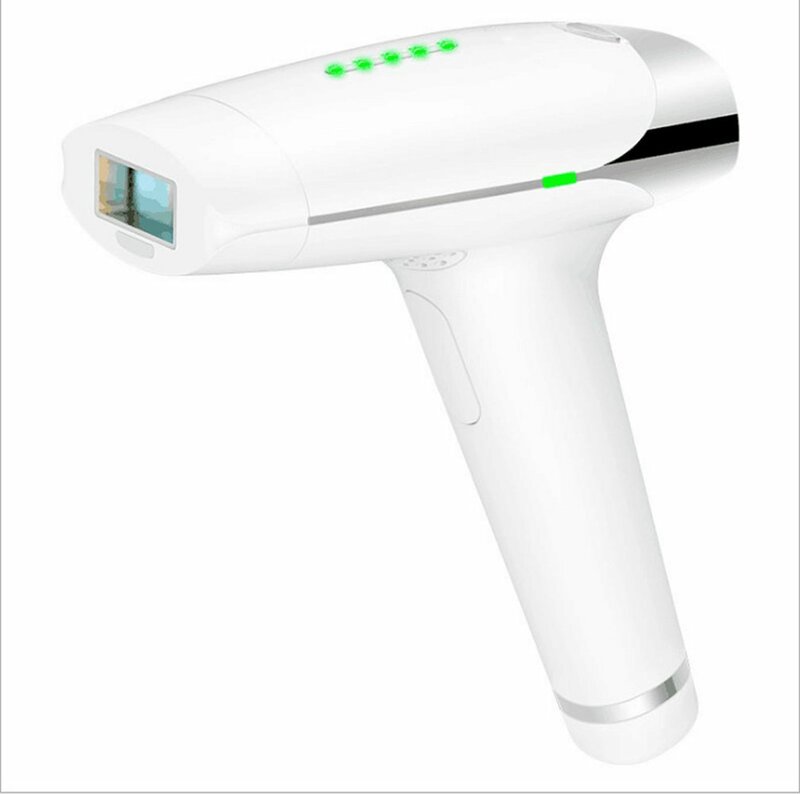 I've got this electric razor for my wife. It works really well. One go over the hair and it's all gone. The skin is not irritated and comes out really smooth. 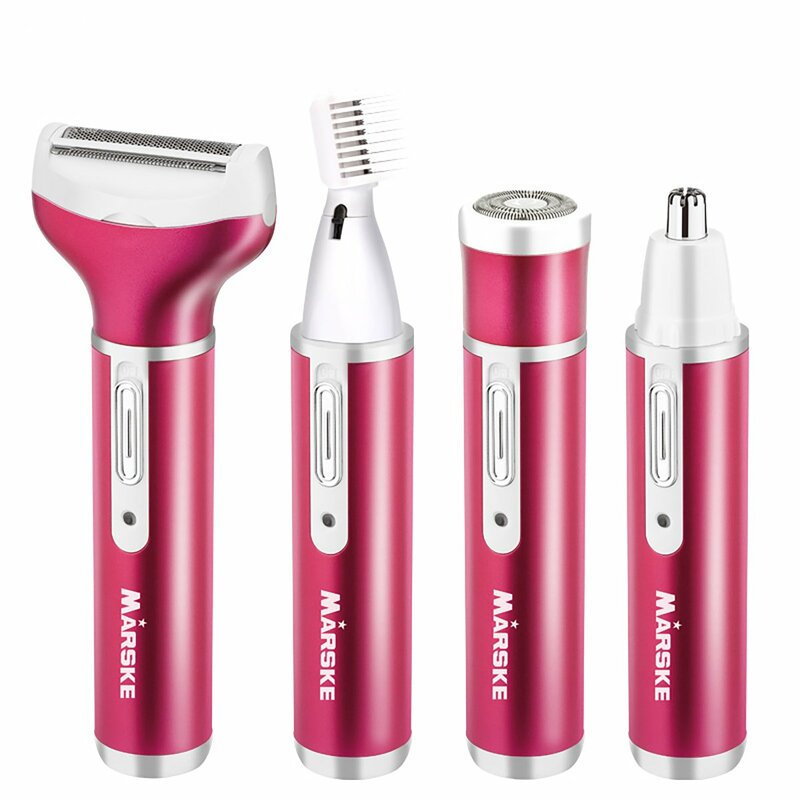 It comes with a standing charging, a travel bag, an extra floating foil and a little brush to clean it up. The battery seems to last for a long time and there is an led to help you see better so you don't miss on the small hair. Highly recommend! 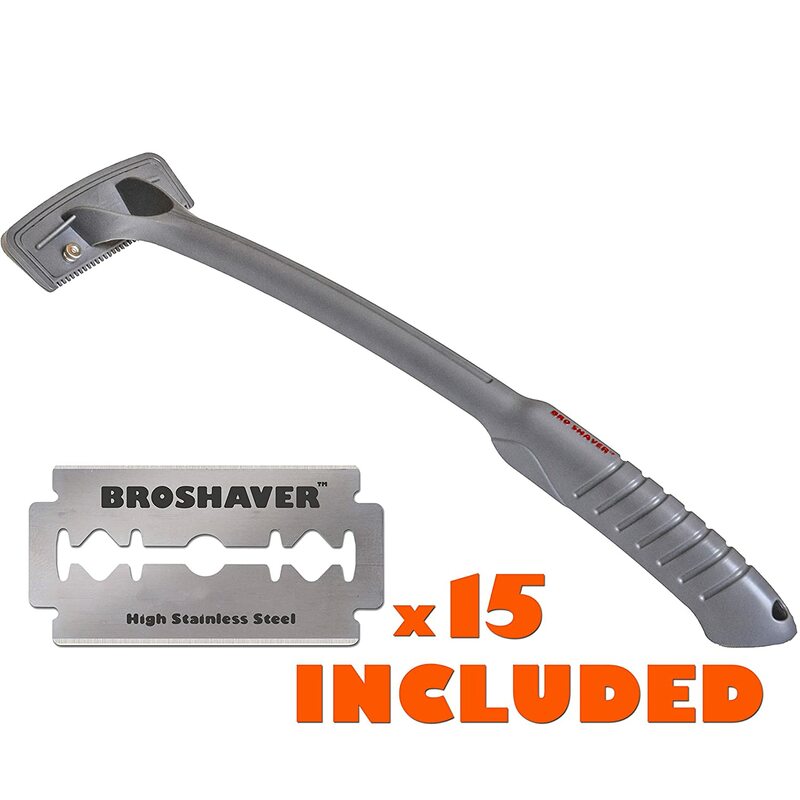 i really like this lady shaver. 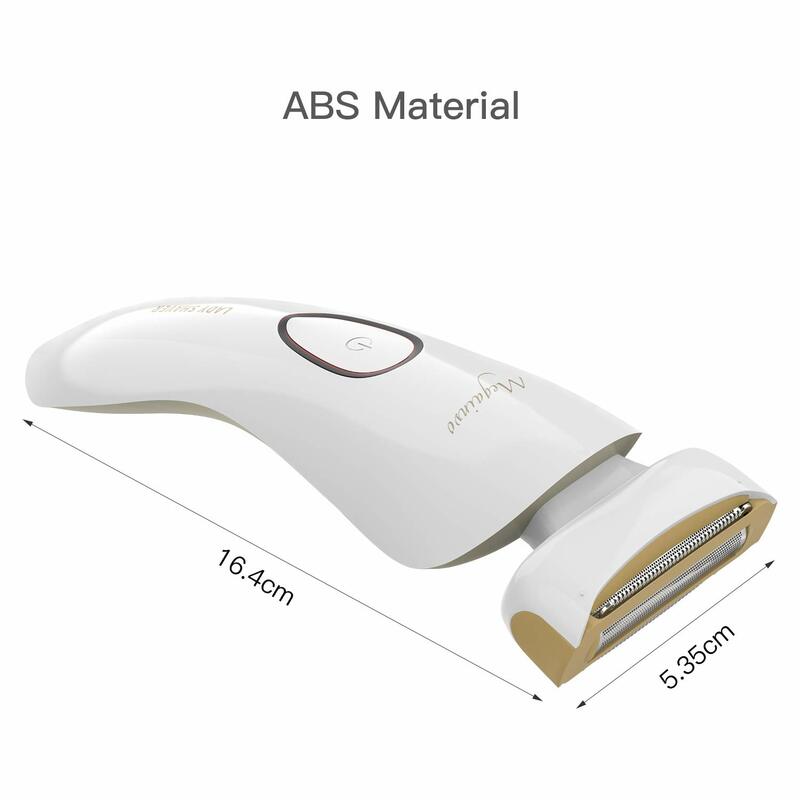 it can quickly clean any unwanted hair on arm, body or leg. it is a very perfect product. 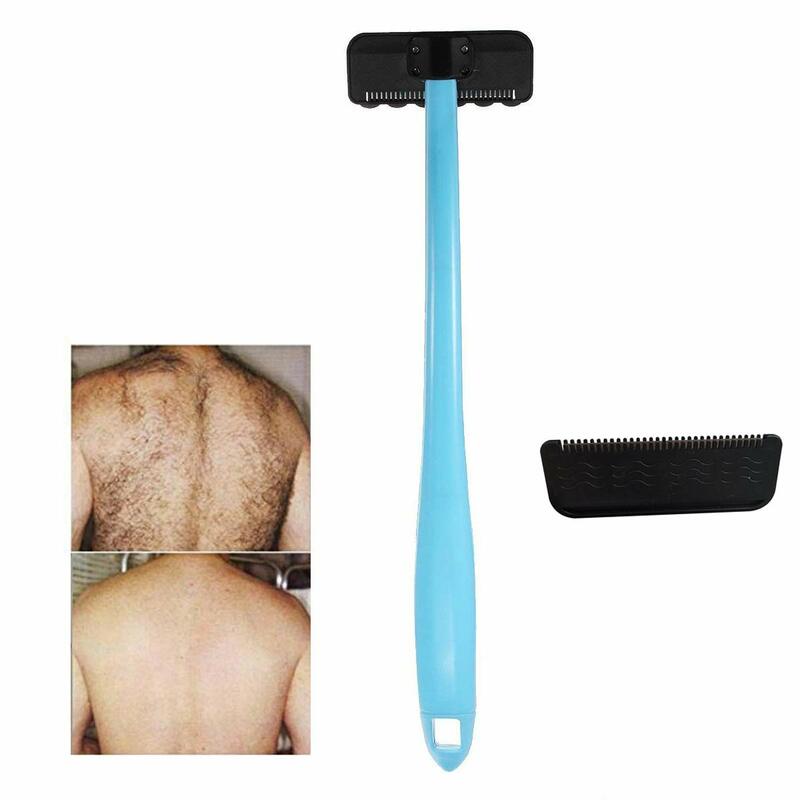 it can give one important aspect with 100% washable for the razor head. this lady shaver is very convenient to carry. 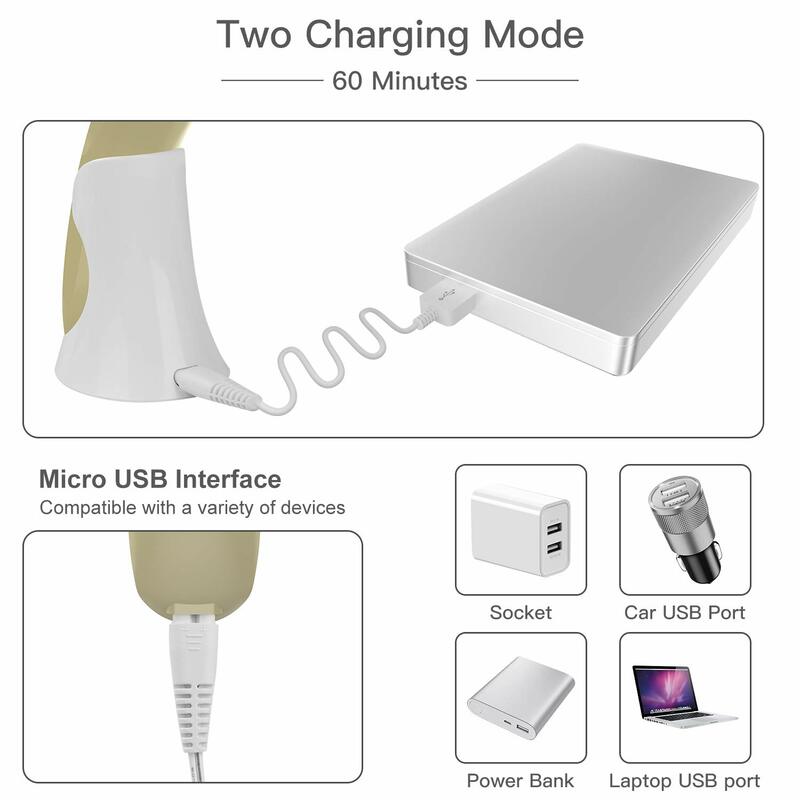 finally, it can be recharged anytime, anywhere, and the battery has a long battery life. 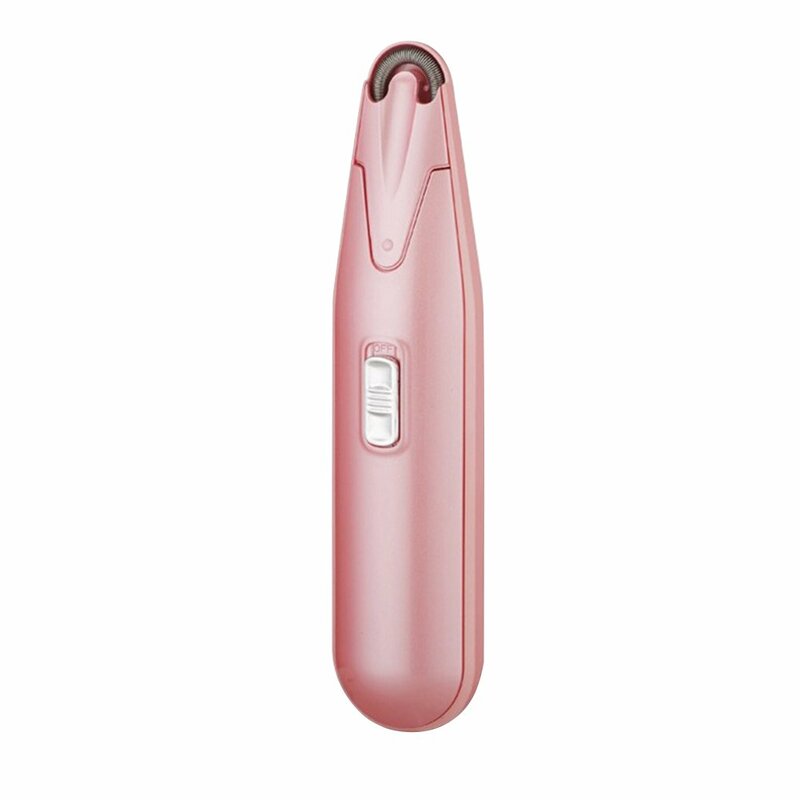 Since Iu2019ve only used it a couple of times since I received the shaver, right now Iu2019m satisfied. Anything different in the near future I will post. Ive only used it once but it works as expected. Not a perfect close shave, but great for a quick fix. Super good product, shave very well every part of your body. 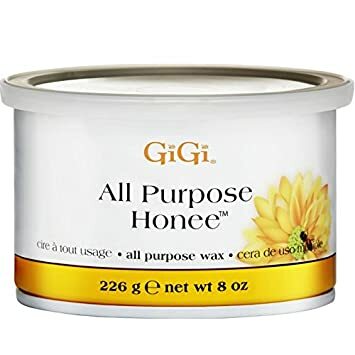 I really like this with waterproof, very soft for skin!